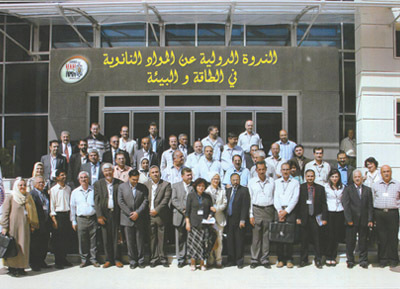 The Commission on Science and Technology for Sustainable Development in the South (COMSATS), in collaboration with the Islamic Educational, Scientific and Cultural Organization (ISESCO), and COMSATS Institute of Information Technology (CIIT), Pakistan, organized an International Seminar on “Nano-materials in Energy and Environment”, in Syria, from 21st to 23rd September 2010. 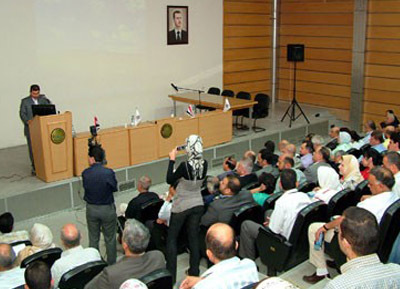 This international Seminar, hosted by the Damascus University, Syria, was the first of the series of events to be undertaken under COMSATS–ISESCO Cooperation Programme 2010-2012. The emphasis of the Seminar was on the use of nano-science and -technology to address the issues of renewable energy and environmental preservation in Islamic countries. Key areas addressed during the event were: fundamentals of nano-science & technology; synthesis and characterization of nano materials and its applications in energy and environment; solar cells; catalysis; fuel cells; bio-fuels and sensors. Eighteen invited speakers from USA, Pakistan, Iran, Malaysia, Jordan a nd Egypt were the resource persons for the event. In all, 38 contributory papers were presented by the participants. 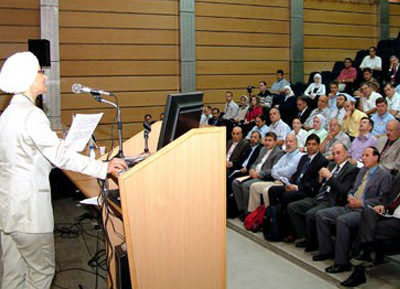 The Seminar provided the participating research scholars and engineers from various disciplines of nanotechnology, a platform to share their research outputs. The major outcome of the event was an understanding reached regarding a stronger collaboration among the nano-technology institutions in Islamic countries; and an enhanced awareness of the participants regarding the latest developments in this new and emerging field. The development of curricula for undergraduate and graduate programmes in nano-sciences for the scientific institutions of the Islamic countries was also discussed.